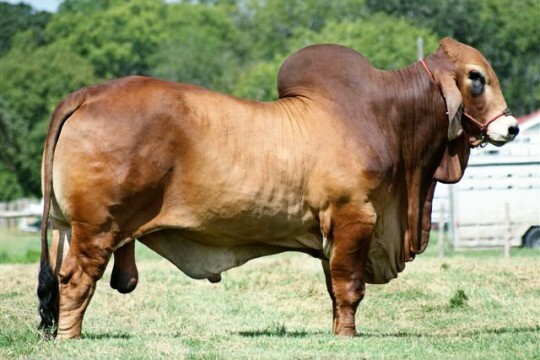 VL Rojo Elegante 177/7 is sired by the National Champion +VL Rojo Bravo 6/125 bull. 6/125 has been a very important part of our program. He has produced numerous get-of-sire championships, both nationally and internationally. He is the sire of VL Rojo Elegante 80/2. In addition to the two herd sires produced by 6/125, he has also excelled in producing some of the best females at Santa Elena. 177/7 is out of VL Elena 165/4, a full sister to the 2207 International Champion VL Elena 155/4. VL Elena 165/4 is the best female ever produced at Santa Elena Ranch. 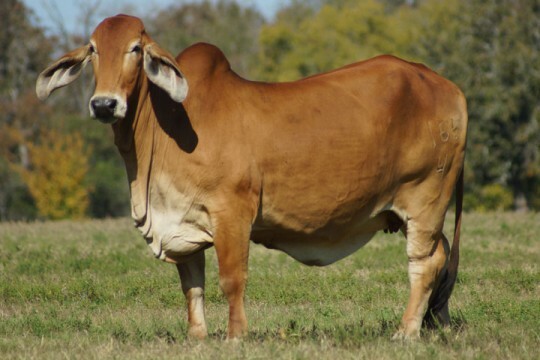 She is the dam of 3 Santa Elena herd sires. 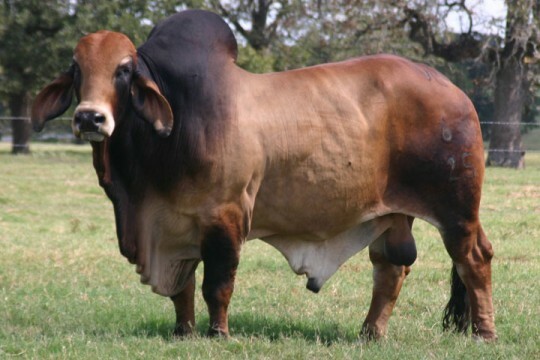 In addition to this renowned pedigree, VL Rojo Elegante 177/7 is one of the top bulls in growth and milk in the Brahman breed.